Product categories of Flotation Machine, we are specialized manufacturers from China, Flotation Machine, Froth Flotation Machine suppliers/factory, wholesale high-quality products of Copper Flotation Machine R & D and manufacturing, we have the perfect after-sales service and technical support. Look forward to your cooperation! 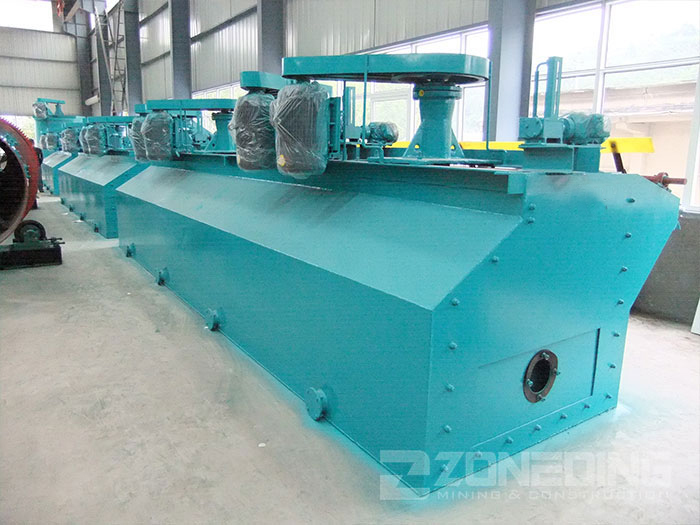 Flotation Machine applies to separation of non-ferrous metal, ferrous metal, noble metal, non-metallic mine, chemical material. And flotation machine can be used in roughing, scavenging, selection or reverse flotation. 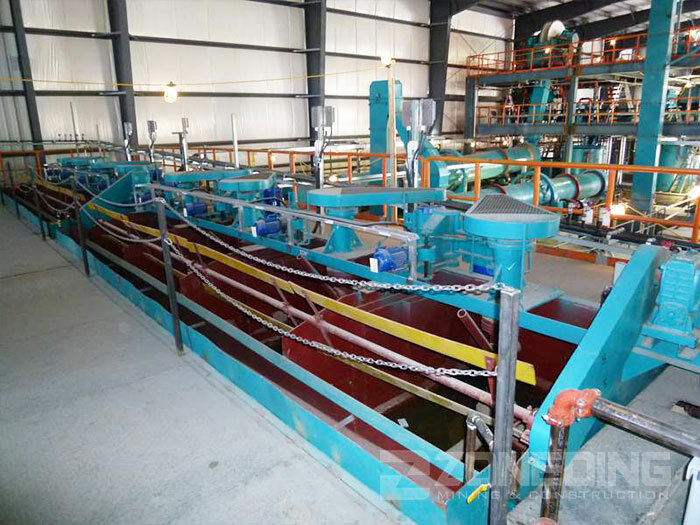 During the flotation process, pulp will be mixed with drug firstly and agitated. Then target ore grains will selectively attach to bubbles, float onto the surface of pulp, which will be scraped out and collected. And the rest materials will be left there. Thus, the separation is accomplished. 5. Automatic controlling device makes adjustment more convenient. The impeller is rotated by V-belt of motor and produces centrifugal effect with negative pressure. Enough air is inhaled into mixed pulp, and pulp mixes with drug at the same time. Mineral sticks on bubble completely and floats on the surface of pulp to form mineralized bubble. Useful bubble is scraped out by adjusting flashboard height and controlling liquid surfac.